I love this product! Both my children have sensitive skin so this was a complete life saver! It smelled great and didn't cause irritation and overall a great product for a great price! I would highly recommend! There I was a first time mom, doing lots of research on the best products to use with my soon to be first child and Burt's Bees Baby Bee Shampoo & Wash was happily where my search for a baby wash ended! I always check the toxicity ratings of the skin products that my family uses on a website by environmental working group, and this particular unscented version of burt's bees baby wash is rated a '1', which is very low on the chemical toxicity scale of 0-10. Even though it was considered unscented, it did have a clean smell that was just enough that I was able to enjoy using it on my daughter, but it wasn't in any way overpowering and often dissipated quickly. The price for the bottle amount was a little higher than I prefer, but I believe you get what you pay for and for my newborn this was definitely worth the price at the time. Tear free, gentle, and low in chemical toxicity - many natural products make these claims, but not all of them live up to them. You can feel good giving your infant's skin a healthy start with Burt's Bees Baby Bee Shampoo & Wash. I bought this product when my daughter started to develop sensitive skin. I was looking for something that was fragrance free and all natural to see if it would help her skin problems and not cause further irritation. I tried this product because it seemed to be what I was looking for, and a friend of mine told me to give it a try. She used it for her children and it worked really well. This product did not really help her skin at all. It did not cause any further irritation or problems with her skin, but I did not see any improvement. I do think this is a good product, but my daughters skin is just very sensitive and I really have to watch what I use on her skin. Performance I think it works well and is a quality product, but it really did not help my daughters skin issue. This product did not cause her to have any irritation and she seemed to respond well to it, it did not burn or cause her eyes to water, but it didn't help with the problem she was having. I was looking for something that would help calm her skin as well as not cause future breakouts. Like most of the Burt's Bees products, this baby shampoo and body wash has a fantastic smell. I love the way it is a sweet smell,but isn't way too overpowering like some other products that are available on the market. Unfortunately, the slightly over pricing of the product makes me a little sad. It's a great product I just wish it didn't cost so much. Like I mentioned before, the smell is awesome. It doesn't irritate baby's skin. It is gentle enough for babies who have skin allergies and the bottle will last a long time, its true what they say a little goes a long way. If you are okay with spending a little bit more on a good quality product for baby's bath time, then this is the right product for you. Performance I have never had any issues with this product performing like it should or how I expected it would. It does a great job during bath times and not only cleaning baby but making sure baby smells great. Scent The scent is fantastic, the familiar sweet Burt's Bee's smell is present, but it's a little milder due to it being a baby product. Love the smell. I have very sensitive skin, and therefore I am always looking for something more gentle and natural for my kids skin. This is a goo product, it is made with more natural ingredients and is good for my sensitive skin. The one thing I can never get over with this product is the smell, it is not horrible, but not one that I prefer. I always want to use it, but then I smell it and it gets put away again. Performance This has worked great for all of my kiddos, we all have sensitive skin, and this product does not irritate it at all. Better I think for babies then toddlers, as my girls hair has gotten longer it really needs some sort of conditioning in the shampoo as well. Scent I can't identify what it is, but there is something about the smell that I just do not like. I will pull this product out and use it for a few baths, but then I just get tired of the smell and put it away again. The smell is not just in the bath either, this is one of those that sticks with you after you have finished washing. Personally, I do not like the smell. I can't say enough good things about this baby product! I have used Burt's Bees products for a number of years and am always impressed by the natural ingredients in their products. It is comforting to know that you can pronounce all of the ingredients listed on the label. The Burt's Bees brand is a trusted name in my household. My baby has extremely sensitive skin and it is difficult to find a baby shampoo and wash that is not drying on his skin. I came across Burt's Bees Baby Bee Shampoo & Wash when I was running errands at my local Target and decided to purchase this product because of my positive experience with the Burt's Bees products I have purchased for myself. I couldn't be happier with the results of this product. First, this product does an amazing job cleaning my baby's skin and hair. It does not dry his skin or hair out and leaves both feeling soft and moisturized. Second, the scent is wonderful. It is a very calming scent for my baby and he absolutely loves it when I use this product. My baby is typically fussy and squirms a lot when I bathe him. I find that my baby truly enjoys his bath when I use this product. Finally, the price is right. 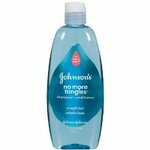 While the upfront price is a little higher than Johnson & Johnson products, a little bit of this product goes a long way. I absolutely adore this baby wash. If I could afford to purchase it all of the time, I would use this over the one that I currently use. 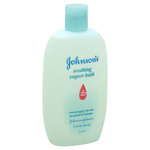 It is soft and gentle on baby's skin and will leave your baby smelling so sweet. It is tear free. If it gets into your baby's eyes, it won't sting them. I like that it can be used on their body and on their hair. A little bit will lather very well and you will immediately smell the sweet scent. My babies both seem to enjoy it. My toddler likes to pour it on her hands and wash herself. She always says that she smells good after she washes with it. I only wish that it was more affordable or came in a bigger bottle. With two babies to bathe every night, we go through this quickly. It is more affordable for me to buy baby wash in bulk. That is the only reason I gave it 9 stars and not 10. If price isn't an option for you, I would recommend this baby wash over any other. 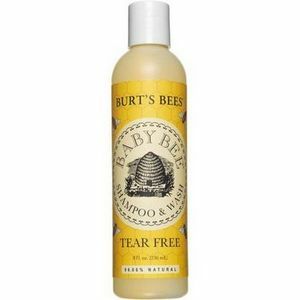 Burt's Bees Baby Bee Shampoo & Wash is perfect for my babies sensitive skin the formulation of this product is gentle enough to use everyday. It does not contain any parabens or sulfates that dry out my babies skin I am very happy about that. The scent is not a strong perfume scent it's more of a light clean smell that has a good lasting power. This bottle lasted my baby about two months from using it as a body wash, and a bubble bath. A little bit really goes a long way you only need a small amount to get a great lather. I am happy to know that this formula is tear free my baby has not had any issues with it irritating her eyes if it accidentally got in them. I also enjoy that the ingredients in this body wash are very soothing to sensitive skin types my child did not develop rashes when using it. The performance of the product is great it leaves my baby really clean with silky smooth skin, and a nice fresh scent it works great as a bubble bath too. 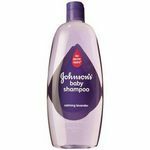 It works perfectly for my babies hair also it leaves the hair very conditioned, and manageable. This is a great 2 for 1 product that I highly recommend to everyone. Burt's Bees Shampoo and Body Wash is great. I love that it is so simple and can be used from head to toe on my kid. It is mild and does not dry out skin, and it smells delicious. The thing I like the most about it, is that it lathers really well and a small amount will clean the entire body. I really like the Burt's Bees Baby Shampoos and Washes. My children have somewhat sensitive skin, so I prefer the more natural products. I've tried a variety of the natural shampoos and washes, and this one tends to be one of our favorites. My kids use it as bubble bath for the tub, they wash their hair with it, and of course, for soaping up their bodies. (they are one and four years old). For hair though, you may want to use a different shampoo. Performance I love the fact that Burt's Bees is really tear free, I can clean faces without any crying. I wash both my 1 year old's hair with it, as well as my 4 year old's hair with it. It cleans their bodies, and isn't drying. But if your baby has longer hair, I would choose a different shampoo because this one isn't as conditioning as other brands are. Scent We use the "fragrance-free" Burts Bees wash, but it still reminds me of natural flowers. Most of these organic and natural washes have the same type of a calendula flower type smell. Its a light smell, very calming.